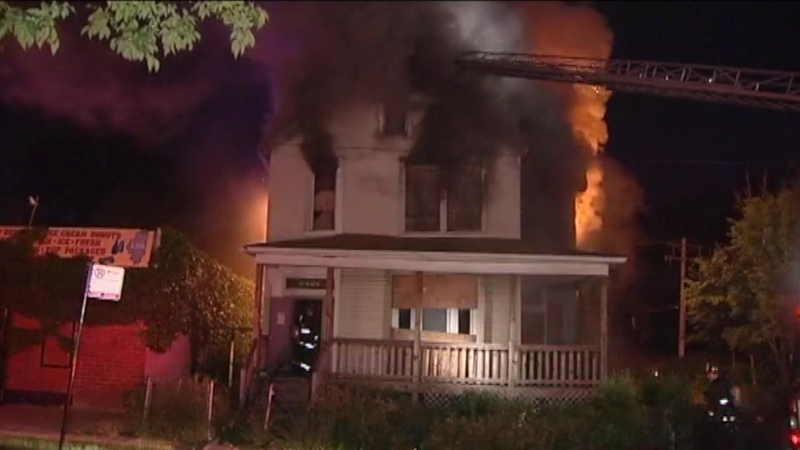 CHICAGO (WLS) -- Chicago firefighters were forced out of an Englewood home in the 6600-block of South Lowe where they were fighting a blaze when the floors started collapsing. Nobody was living there. There's no word on what caused the fire.